Starting Thursday July 21st, I have been getting literally thousands of automatically generated messages about delivery problems, on spot checking, mostly from gmail. I don't know fully how extensive this is. Update July 24: This problem seems mostly fixed now, but there may now be a problem with people who setup an automatic forward to another email account. If you are currently forwarding list email from one account to another, you may need to change your subscription to go directly to the address you were forwarding it to. If you still want to post from the original address, then keep that account subscribed but set it to Email Delivery Disabled. 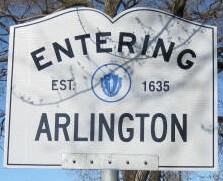 See http://arlingtonlist.org/faq/email and http://arlingtonlist.org/faq/nomail for instructions on doing this, or if you have problems contact the ist owner.